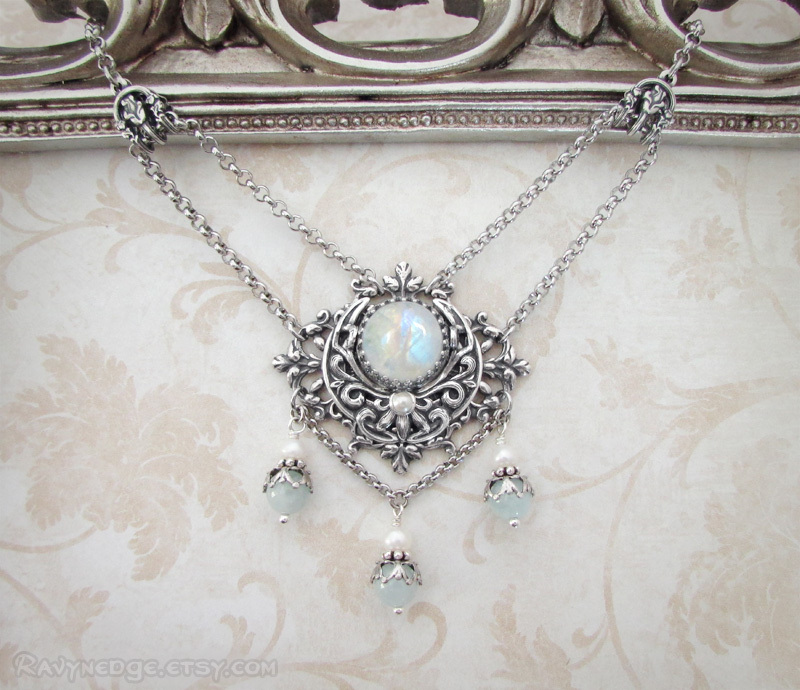 Luna's Blessing Necklace - Wiccan Moon Blessings Necklace by RavynEdge. 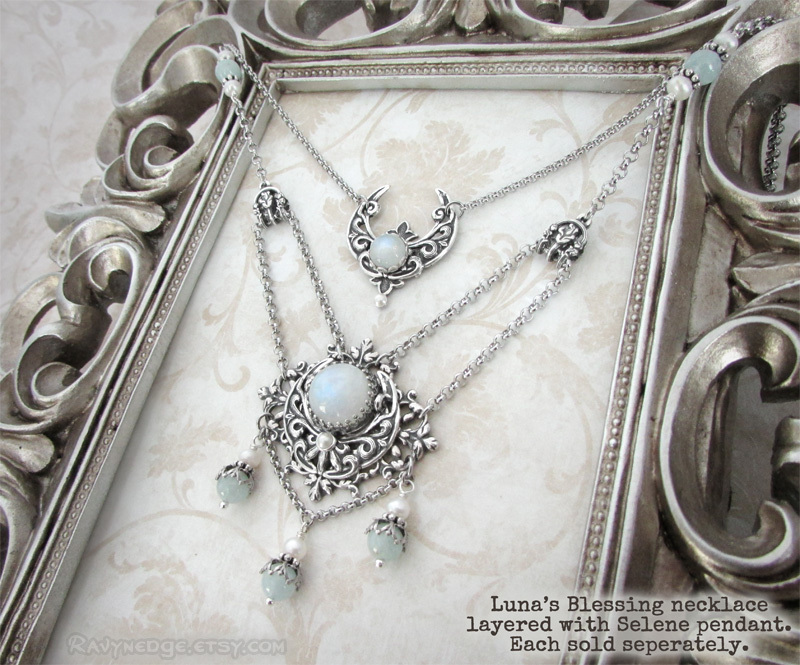 Luna's Blessing features a magnificent rainbow moonstone cradled by a crescent moon with three drops of real aquamarine and freshwater pearl. 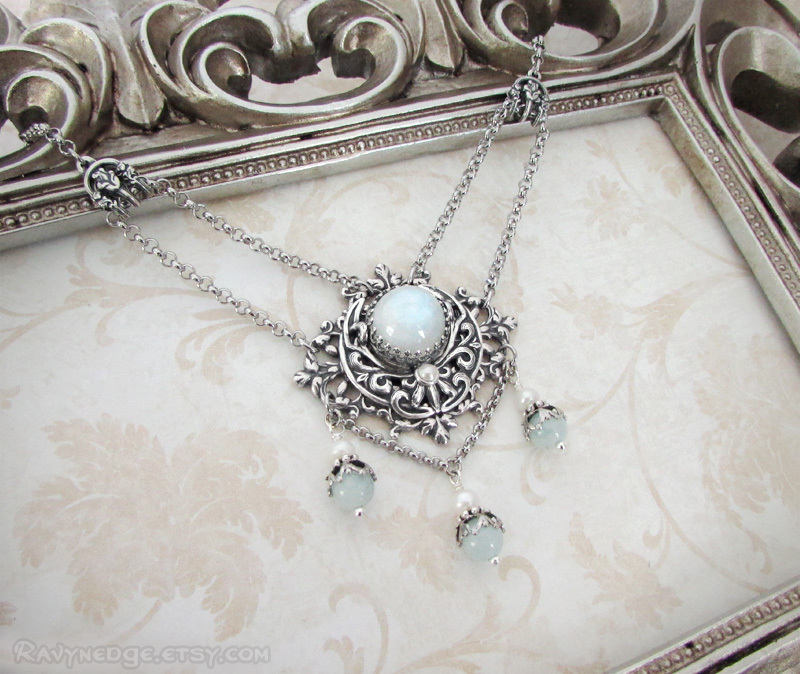 Classically unique, this necklace will give any outfit a touch of romantic Victorian elegance. The pendant measures 2.1 inches (5.3 cm) tall, including the bead dangle, and 1.54 inches (3.9 cm) wide. 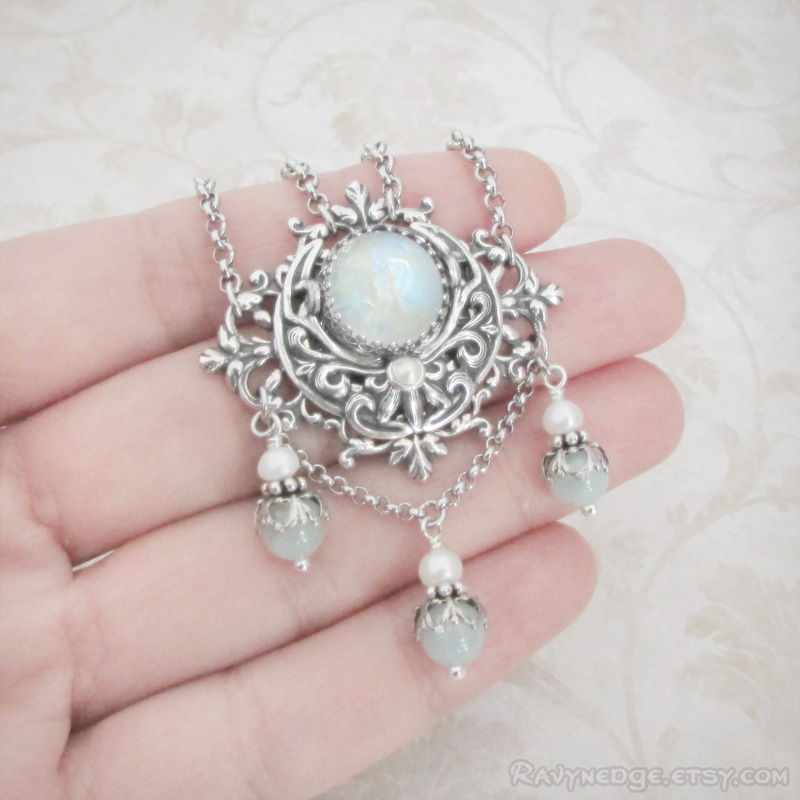 The moonstone cabochon measures approximately 12mm across the center. The stainless steel chain adjusts from 16 to 18 inches (40.6 to 45.7cm) and closes with a lobster clasp. 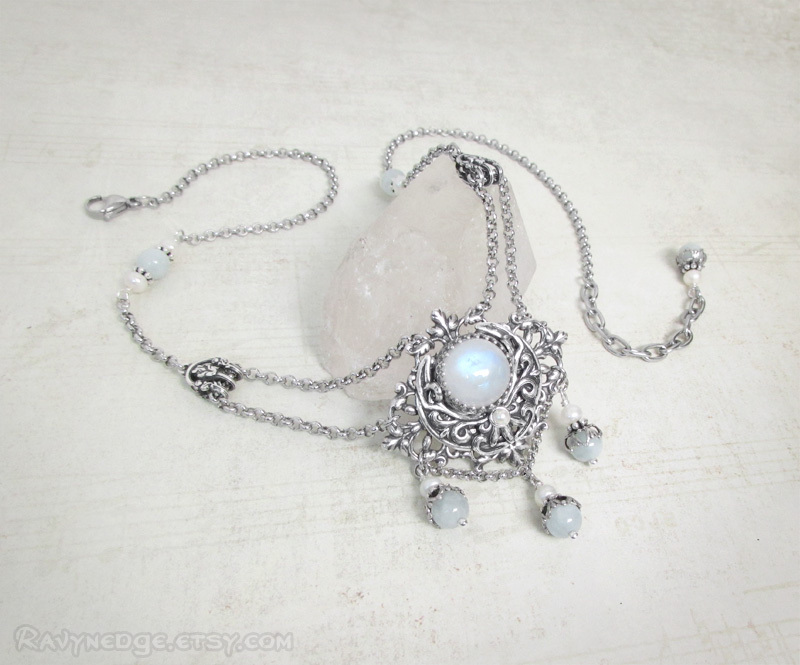 The pendant is sterling silver plated filigree with an oxidized finish to give that wonderfully romantic and gothic look with a vintage appeal.